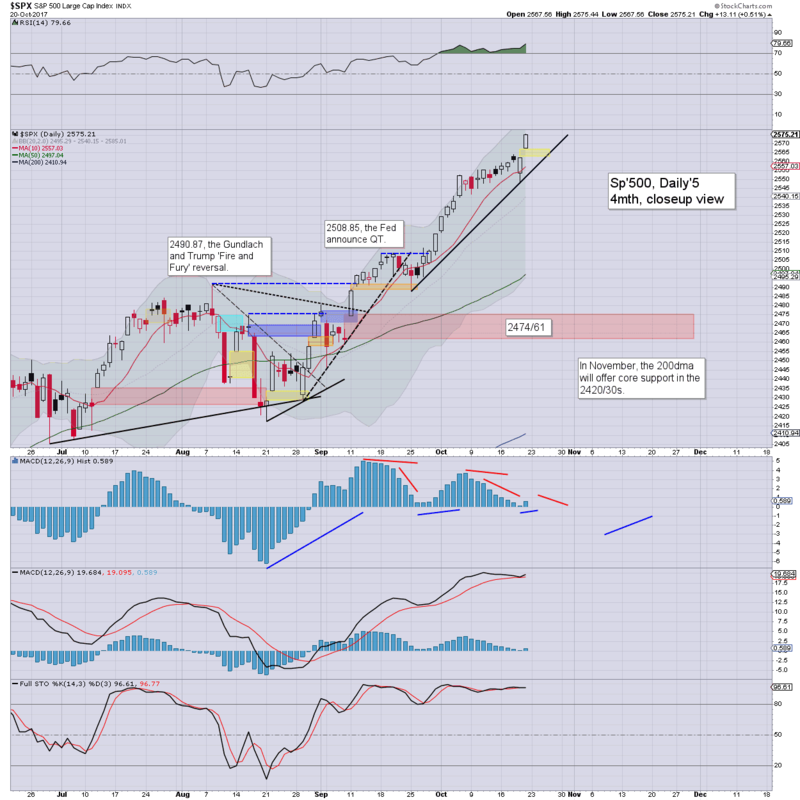 US equity indexes closed moderately higher, sp +13pts at 2575. The two leaders - Trans/R2K, settled higher by 0.9% and 0.5% respectively. 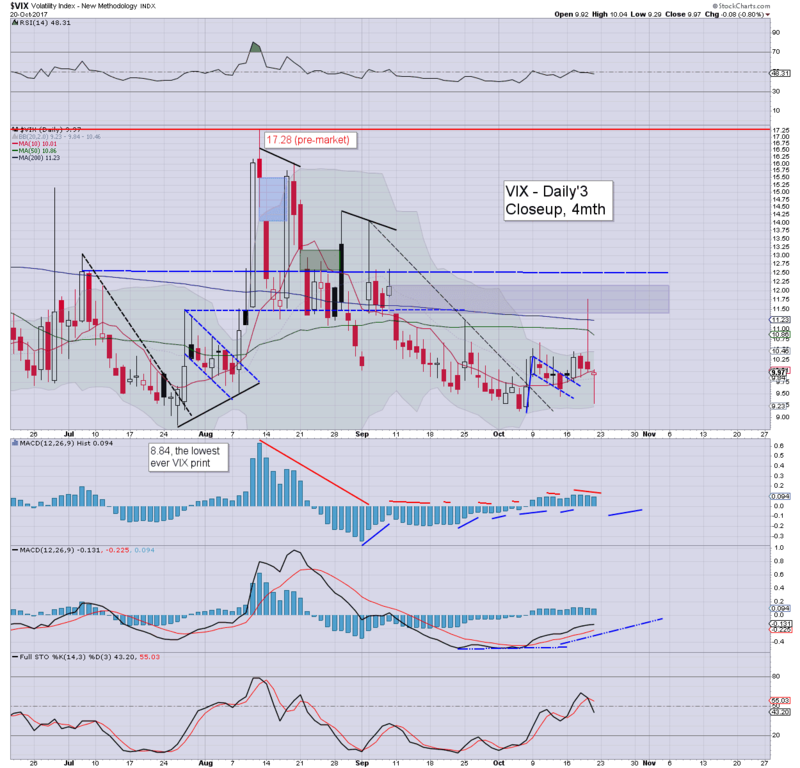 VIX settled -0.8% at 9.97. With a new historic high of sp'2575, the year end target of 2683 has come within 4.2% of being hit, with 48 trading days left of the year (scary thought?). US equities opened moderately higher, and it was enough to generate the usual quartet of index highs (sp, dow, nas' comp', nyse comp'. 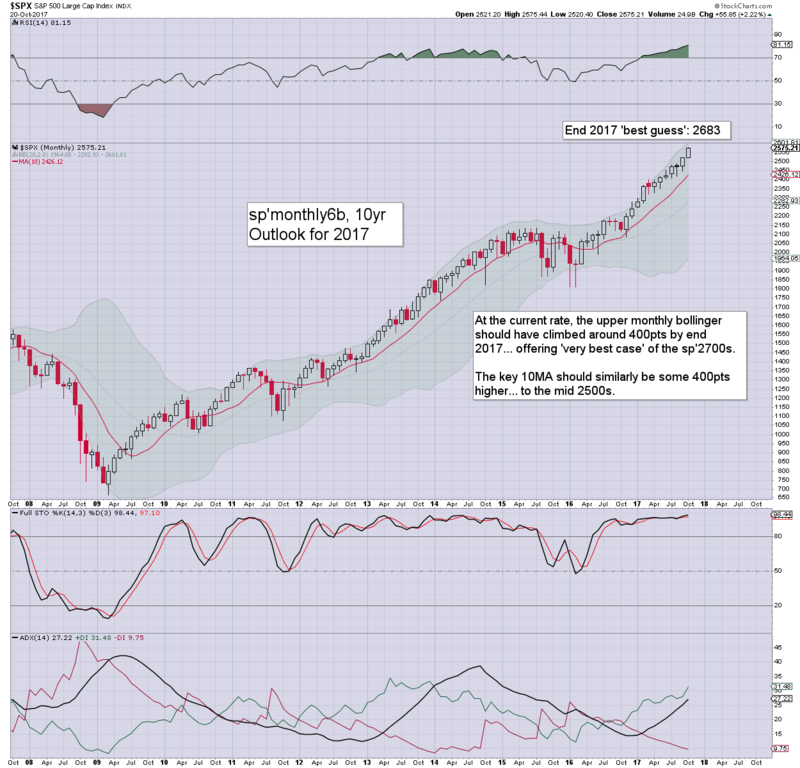 With a new historic high of 2575.44, the equity bears are back to square one. Clearly, the market remains overdue a cooling wave, but until we take out yesterday morning's low of 2547, the bears can't have any confidence. 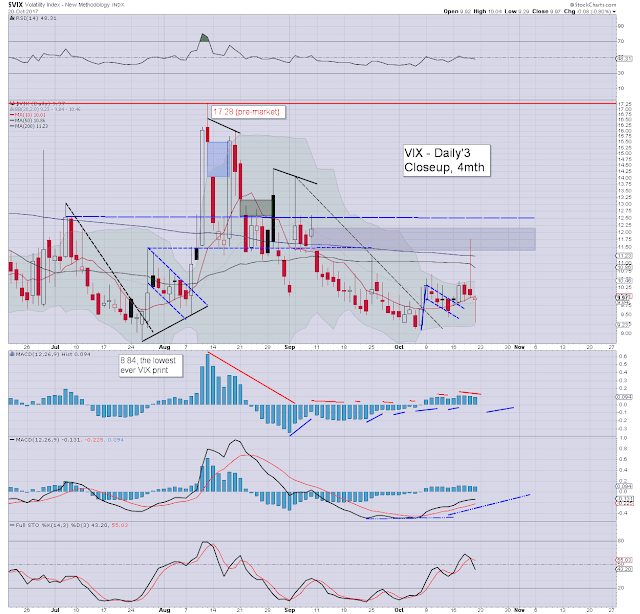 With equities breaking new highs, volatility was naturally subdued, with the VIX settling the week in the upper 9s. A burst to the mid teens remains highly probable, and looks viable next Wed/Thursday. Today's close brings my year end target within just 4.2%. Even to me, its pretty incredible to see, as we've two full months left of the year. You know we're currently headed for 3k by mid 2018, right? 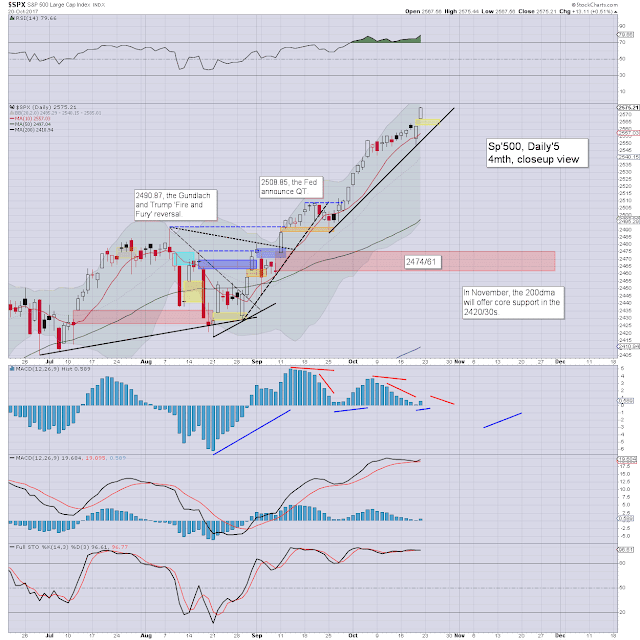 *the weekend post will appear Sat'12pm, and will detail the US weekly indexes.